Are you happy with your branding activities? 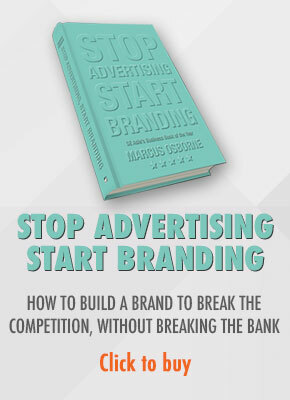 Or do you find the money you spend does little to build your brand? Unfortunately, most branding initiatives revolve around a creative campaign developed by an advertising agency. Depending on budget, the creative campaign will be implemented with a one-size-fits-all message communicated to all and sundry and across multiple mass media platforms for as long as budget allows. The model essentially revolves around hope – hope that lots of people will see the campaign, hope that amongst those people will be the target markets, hope that the message will resonate with those target markets, hope that those target markets will remember and hope that if they remember they will act. 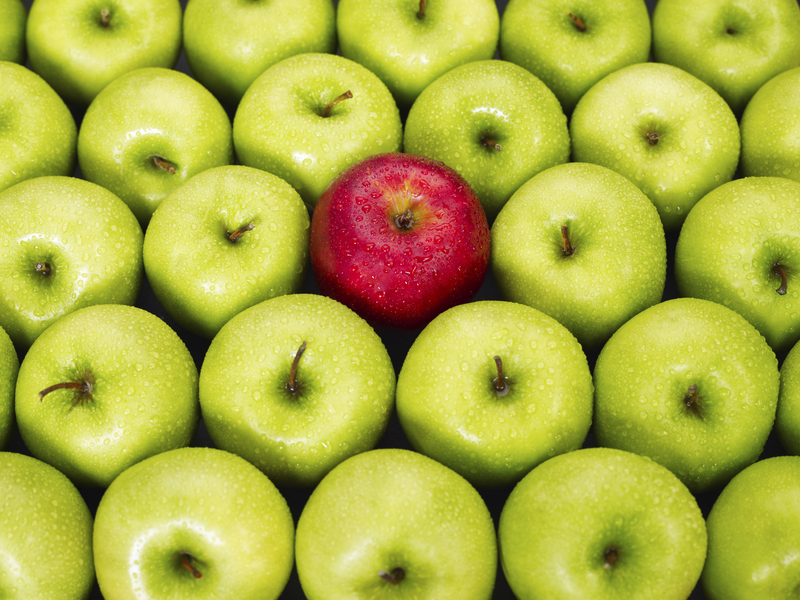 In a noisy world, is a traditional approach to building a brand going to make you stand out? So basically, the ‘strategy’ is one of hope. Chances are if it doesn’t work, the agency will, if you haven’t already fired them, propose more of the same. For most brands this approach is an exercise in futility. Wouldn’t it be better to first get an understanding of where your brand is – both internally and externally? In the social economy, where consumers not companies define brands, don’t you want to know what your stakeholders want from your brand, what you are doing right (and wrong), the channels they are most likely to interface with, their influencers and more? Internal and external brand and communications audits can both help determine how effective your branding activities have been and, more importantly, what they need to accomplish in the future. Brand audits have multiple advantages. They provide a benchmark to evaluate the current brand position. Carried out every 2 years they can evaluate progress toward branding goals. They also unify an organization. Too often, everyone has a different definition of branding. A brand audit will identify this and provide recommendations for improvement. Indeed, a brand audit can provide a consistent, universally accepted brand DNA and from that a definition that ensures that everyone in the organisation is marching to the beat of the same branding drum. Finally, a brand audit can help eliminate the all-too-common disconnect between what companies believe their brand to be and what customers perceive it to be. An internal brand audit takes the brand temperature from corporate executives and other personnel. One-on-one confidential interviews probe to determine each individual’s perceptions of the brand, branding goals, evaluation of past branding activities, knowledge of key corporate or brand messages and other key points. 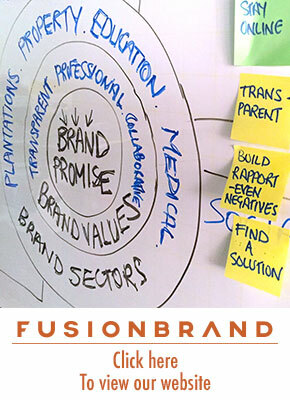 An Internal brand audit is a key component of any brand strategy, when did you last carry out an Internal brand audit? A brand audit can cover a wide cross section of departments but must have the customer and the customer’s needs at its core. What do we know about customers? Are we collecting THE RIGHT data? Is relevant customer data being added to corporate databases? Is customer information shared with other areas of the company? What initiatives are on the horizon that will affect certain customers and how will this be addressed? A minimum of 25 minutes is required for each interview, but they can take up to an hour. Questions can be prepared beforehand, but the most valuable insights often result from free-ranging discussions on relevant topics. A key component of a brand audit is a communications audit, which is especially useful for larger firms with multiple divisions or departments that get involved in branding activities. A communications audit looks at all the visual material that represents a brand – the brand identity, sales documentation, press releases, ads, brochures, Web sites, social media channels, merchandise, vehicles, logos, etc. Analysis then determines the amount of consistency and integration in appearance/design, messages and their relevance to target markets (in a noisy world where consumers are time poor, content is so, so important) and adherence to corporate standards. Ideally, a brand manual is in place to provide a benchmark. The role of social media in both internal and external corporate communications is increasingly important and a social media audit must be included in the communications audit. Communications across social media require different skill sets to traditional marketing and this is scaring some companies away but it must be addressed. A social media audit lays the foundations for the social media strategy that has an crucial role to play in the brand strategy developed later. Internal brand and communications audits often reveal a stunning amount of discrepancies that result in mixed messages to both prospective personnel and customers, incompatible branding efforts or even disagreement about branding goals. An external brand audit looks at how various stakeholders (or, more accurately, constituencies) view the brand. Such constituencies include customers, prospects, media, distributors/retailers, regulatory bodies and suppliers. For some companies, it should also be combined with a customer acquisition audit to see if relationships are being developed effectively. The number involved in brand audits can vary greatly according to time, cost or other constraints. Even as few as 5 – 10 qualitative interviews may produce actionable insights. 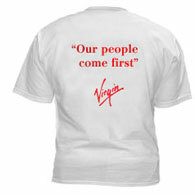 The success of a brand audit will be determined by the people involved. They must understand branding imperatives, be familiar with the relevant products and company and have superb questioning, listening and analytical skills. Results of brand audits (the good and the bad) must not only be shared as widely as possible but also incorporated into internal and external branding efforts, including employee communications, advertising and PR. 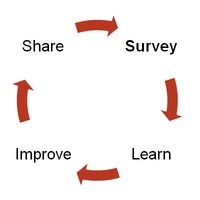 Share research data, not just the good stuff! It is especially important to use the results to drive changes in sales, service, support and other customer-facing activities. Finally, remember to use brand audits as guidelines for improvement, not as sticks for punishment. Typically, what factors need to be present for a company which has never audited their brand to begin auditing their brand? What criteria are they using when they decide to repurchase?? From my experience 99% of international businesses based in primary European markets conduct brand audits… so is the problem you are describing located primarily in your region, is it a company size or industry issue, or is it my “experience of one”?? Thanks for your reply. It’s an interesting question because there are no specific factors that need to be present for a company to audit its brand. The audit will identify those elements that need attention. To use a medical analogy, you go to a doctor for a checkup even though there are no symptoms. The check up may identify issues but if it doesn’t you have piece of mind. I’m not sure what you mean by the second question. Are you referring to customers? Asian companies in general are definately slow to conduct brand audits. But I’d be interested to know what the constituents of those European brand audits are. Many firms concentrate on perception audits at best. Whilst important, this is only one element of a brand audit. Is this where my love affair with the BMW brand ends?